Welcome to the fine community of Carlton, Minnesota! 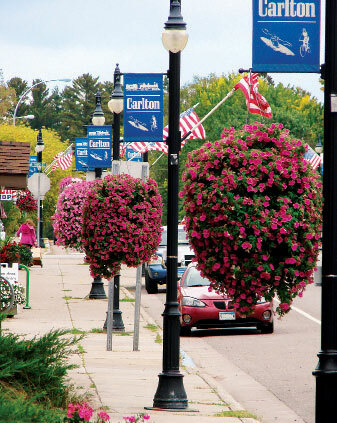 The City of Carlton is located approximately 20 miles south of Duluth, Minnesota just off of I-35 and Highway 210. 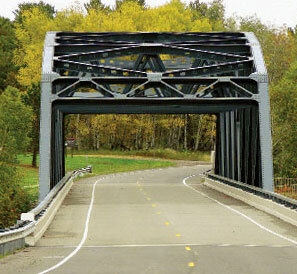 Carlton is known as “The Gateway to Jay Cooke State Park”, one of Minnesota’s premier State Parks. Our Winterfest Celebration is held the second Saturday in February of each year. During Winterfest you might want to try a Candlelight Cross Country Ski or Snowshoe event or maybe a Chili cook-off would spice you up, or try your luck at Fireman’s BINGO which is sure to be on fire with an abundance of hot prizes. Winterfest provides many other activities for the winter enthusiast young and old alike. Every year our Chamber hosts its Annual Banquet which offers a fun evening of great food, entertainment, and mingling. During the last full weekend in July of each year, we celebrate Carlton Daze, a community-wide celebration which includes softball tournaments, golf outings, a 3 on 3 basketball tournament, craft shows, auctions, children’s theater, community plays, street dances a 5k race and an ultra-marathon, a business expo, bingo, live entertainment, a parade, a kid’s tractor pull and food galore! There is something for everyone and a great time is had by all who attend. The Chicken Swap is held twice a year, once in the spring and once in the fall. At the Chicken Swap, there’s much more than just chickens. You’re likely to find puppies, bunnies, goats, pigs, ducks, homegrown produce and homemade goodies that range from cookies, to breads, to maple syrup. This is a great event for the whole family: roosters, mother hens, and spring chickens are all welcome. So make sure to bring the whole flock out! Chicken swapping is some serious business, so if you want to rule the roost, get there early to ensure you have the best pick of the selection. Our Spring Chicken Swap will be held Saturday, April 27th from 8 am – 12 pm in the parking lot of the Four Seasons Sports Complex in Carlton. The Fall Chicken Swap will be held Saturday, September 28th in the parking lot of the Four Seasons Sports Complex in Carlton as well. Be sure to watch our Events Calendar for future Chicken Swap Announcements! The city of Carlton is also the Carlton County Seat and home of the Carlton “Bulldogs”, which are our vibrant school’s youth who are active participants in the community. We look forward to working with all our area businesses, and if we can help in any way, please email us at ChamberCarlton@gmail.com or call us at (218) 384-3322. We are open to all ideas, opinions, and concerns in order to make the Carlton and surrounding area a better place to live. We would like to welcome ALL businesses and people, who are moving into the area to live or provide a business service to our community, whether a chamber member or not. We all work together to keep this train rolling!